Assembly of First Nations National Chief Perry Bellegarde says he’s sorry for the pain caused to the daughter of Anna Mae Pictou Aquash by his recent call for Prime Minister Justin Trudeau to bring up the case of imprisoned American Indian Movement (AIM) activist Leonard Peltier when he meets with U.S. President Barack Obama this week. Aquash’s daughter Denise Maloney Pictou released a statement Tuesday expressing outrage over Bellegarde’s statement in support of Peltier. Pictou believes Peltier protected Aquash’s killers and was involved in events that led to her death. Pictou released the statement after Bellegarde told CBC News Monday he’d like to see Trudeau to bring up the Peltier case during a Washington D.C. visit this week. Bellegarde said he was sorry for hurting the family and that he is planning on speaking with Pictou later Wednesday. Bellegarde said he still would like to see Peltier freed. He said the case is a separate issue from AIM’s execution of Aquash. 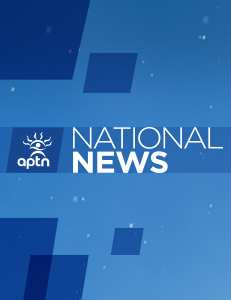 Bellegarde said two previous AFN national chiefs have made the same call which is also backed by Amnesty International and prominent individuals like the Dalai Lama. 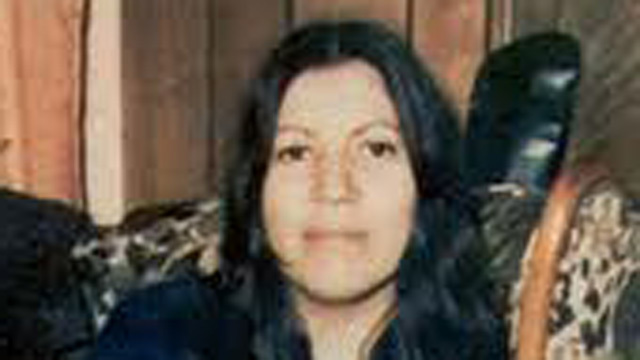 Peltier was extradited from Canada to the U.S. in December 1976. He was eventually convicted in connection with the killing of two F.B.I. agents who were gunned down during a 1975 a shootout on the Pine Ridge Indian reservation in South Dakota. Warren Allmand, Canada’s solicitor general at the time of Peltier’s extradition, has since stated the F.B.I submitted false information to have Peltier extradited. One of the false pieces of evidence included an affidavit from a mentally unstable woman who claimed to have been Peltier’s girlfriend. Aquash’s daughter said in the statement that Peltier interrogated Aquash at gunpoint and knew who was behind her killing. Former AIM members Arlo Looking Cloud and John Graham were convicted of killing Aquash. U.S. authorities believe the two men were likely acting on orders that came from the AIM hierarchy which believed Aquash was an informant. Aquash’s body was found at the bottom of an embankment near the Pine Ridge reservation on Feb. 24, 1976, by a rancher. She had been shot in the back of the head at close range, execution-style. She is buried in Sipeknekatik, a Mi’kmaq community in Nova Scotia. Aquash was 30 at the time of her death. This sickens me that Denise has been spoon fed lies and then tosses them out as facts. The people paid by the FBI are the same people leveling these allegations against Peltier. You are right James it is ‘Sad that Bellegarde merely parrots what others have been misled into believing’ Show me the facts James, you are simply as bad as he is. “I seen Joe when he pulled it out of the trunk and I looked at him when he put it on, and he gave me a smile.” (Matthiessen, p. 552). Leonard Peltier, standing over the bodies of Jack Coler and Ron Williams moments after their heads were blown off by Peltier’s rifle, commenting on Joe Stuntz wearing Agent Jack Coler’s green FBI jacket, as established by the Eighth Circuit Court of Appeals. Anna Mae’s cousin, Bob Branscombe, recalling his conversation with former Attorney General Ramsey Clark (Trimbach, p. 459). This is a very problematic issue. On one hand Peltier was certainly denied fundamental protections when he was extradited to the U.S. by Canadian authorities. However while the mythological status of AIM and in particular Peltier was nurtured and massaged over decades the real story of Anna Mae’s death was deliberately concealed, stifled and distorted to protect that mythology. In essence her life was seen as political fodder for the cause something that her daughter would not let happen in her relentless campaign to find out what happened to her mother. She is absolutely correct to insist that the AFN’s primary moral responsibility is to the families of MMIW, including Anna Mae’s.